Tailwinds Over Frederick - Hot Air Balloon Rides & Promotions - Serving Adventure Daily! Tailwinds Over Frederick is a family owned and locally operated Hot Air Balloon operation located in Frederick County Maryland. 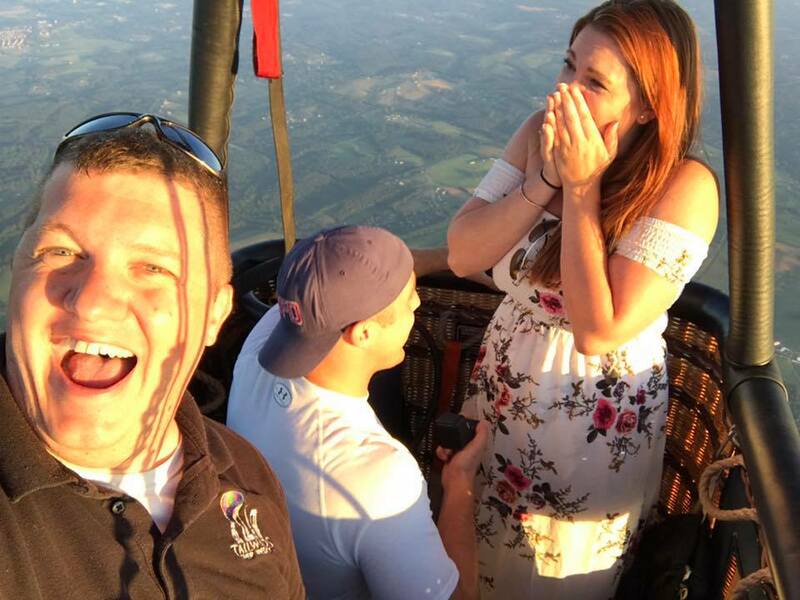 As we are Frederick Maryland's only balloon operation, we offer a range of services: Hot Air Balloon Flights, Promotions, and Advertising, and we specialize in providing you the adventure of the most basic form of flight! Experience the thrill and beauty of viewing the sights and sounds as you gracefully float over the Monocacy valley on our Hot Air Balloon. You'll be able to see the sunlight glimmer off the Chesapeake Bay, and watch the sunrise over Sugarloaf Mountain. Our launch locations situated around Frederick and Carroll County Maryland are just a short drive from the Washington, D.C, Baltimore, and the Northern Virginia area and you will be within minutes to world class dining in Historic Downtown Frederick. We are also available for weddings, promotions, and even your next marketing campaign! Choose from the links above to learn more, or fill out a contact form so that you can Book your Hot Air Balloon adventure today! Are you in for adventure? Summer is quickly approaching and its been a rough winter. The rain has to stop sometime! Are you ready to get on board? We are now flying 7 days a week sunrise and sunset! 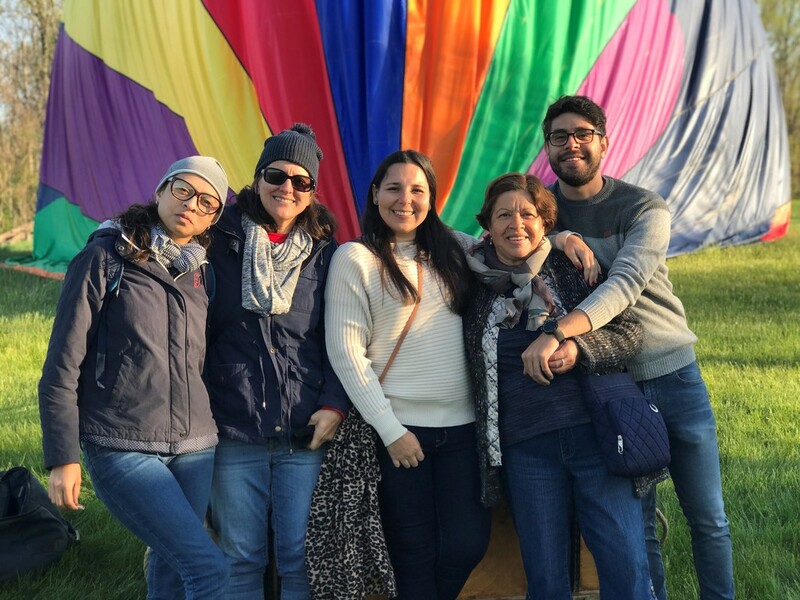 We are ready to help you chase the sky with a Hot Air Balloon Ride!! Book Your Flight Now! A Hot Air Balloon Adventure is an excellent way to celebrate! Maybe a Birthday or the perfect Anniversary Christmas gift, & perhaps the perfect proposal! Whatever it is... we want to celebrate with you! Call us today and get ready for YOUR balloon adventure! Our Gallery page features videos and photos from our incredible adventures in the air! Look through photos & pictures to see what you'll experience on your next adventure with Tailwinds! Lets add to that this year with your adventures! Also check our Facebook page for more! This little project is sure going to turn heads! 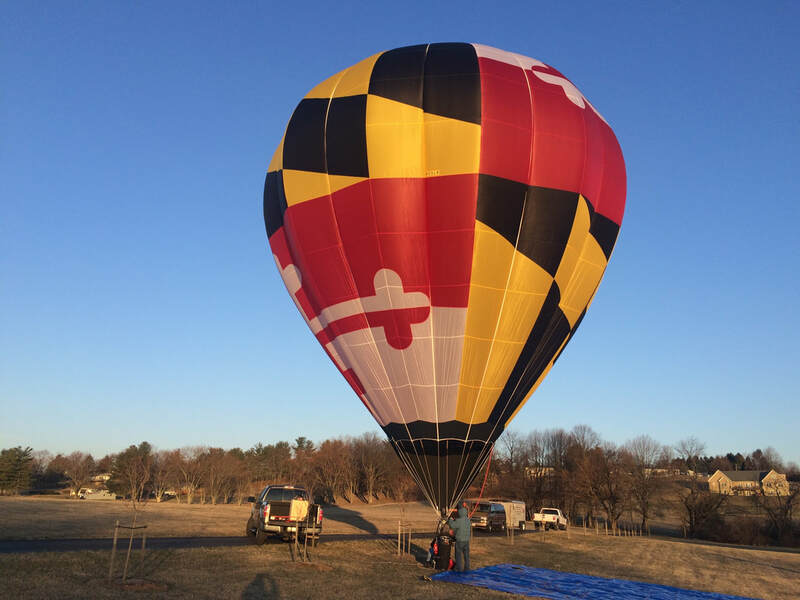 We all know Maryland has the greatest flag... so Tailwinds Over Frederick is excited to announce our new balloon! Available for photo ops and promotions and all around promotions. Keep an eye out on the horizon for Maryland One"!